NEW 16 servings bottle (16 ounces)! Now with Elderberry -- NEW & Improved Formula with Elderberry and Echinacea! 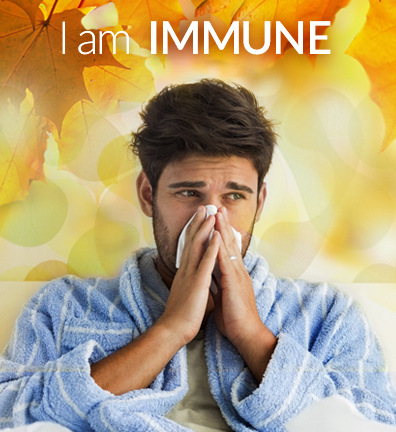 • 10x More Potent Immune Blend! • Lemon • Cranberry • Blueberry • Broccoli • Oregano • Lemon . . . Plus more! Eniva Cold & Flu Buster contains a powerful combination of cold processed phytonutrients in addition to vitamins, minerals and antioxidants to support immune health. 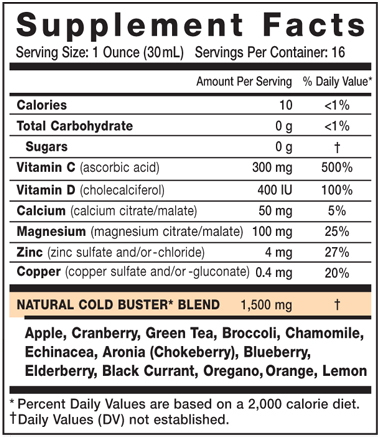 * A synergistic blend of bio-available vegetables and fruits, vitamins, minerals, antioxidants, polyphenols, green tea, herbals and more, Cold and Flu Buster helps maintain well-being even when your body experiences day-to-day challenges. It utilizes Eniva's proprietary Solutomic™ technology to provide superior liquid nutrition for maximum effectiveness. * Plus, the fast-acting liquid formula also comes in a convenient single serve packet, easy to put in your purse, bag or pocket when you travel to the gym, office or a vacation destination. Solutomic®: An advanced form of mineral ions in solution for enhanced absorption and body use. *These statements have not been evaluated by the US Food and Drug Administration. Eniva products do not treat, reduce, cure or prevent disease. Other Ingredients: Purified water, malic acid, citric acid, natural flavors, xanthan and/or guar gum, stevia leaf extract, sodium benzoate, potassium sorbate. Recommendations: May combine with 8 ounces of water or juice. Avoid freezing and heat. Storage Directions: Avoid freezing and heat. Refrigerate upon receipt and after opening. Caution: Do not consume if tamper resistant seal is broken or missing. Do not consume if allergic to components in product. As with all dietary supplements, contact your doctor before use. If taking prescriptions, have ongoing medical condition, pregnant, nursing or under age 18, consult doctor before use. KEEP CAP TIGHTLY CLOSED. KEEP OUT OF REACH OF CHILDREN.